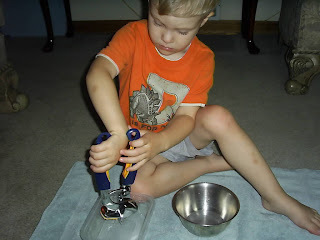 We did a little squeezing-water-out-of-a-sponge-with-a-garlic-press activity (That's it's official name). I think I got this idea from The Wonder Years, but I'm not 100% sure on that. 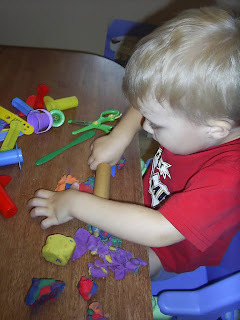 He spent about an hour playing with play-doh, he was very into it! 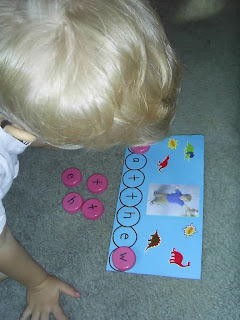 For more Tot School ideas, visit 1+1+1=1! Ribbit. Have a beautiful day! Wow what a great week. 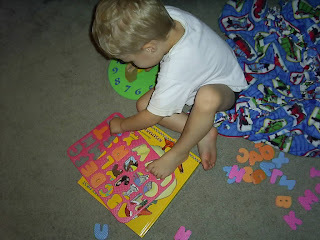 Emily loves her lacing beads and foam alphabet puzzle too! Great ideas!All of them look so fun! 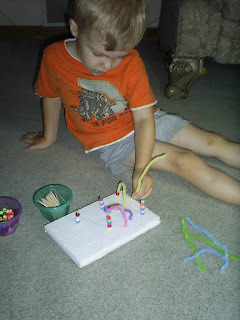 I love the pipe cleaners/foam activity--this would be really fun! 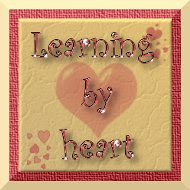 You had a busy week of learning and have some wonderful ideas to share--thank you! 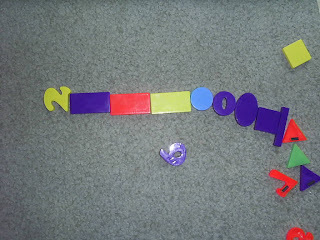 I just made color tablets for Sweet Pea to line up from lightest to darkest, but she wasn't interested at all. I think I'm going to give it another few weeks before introducing them again. It's a great week. 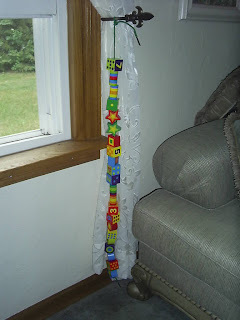 The patterns look like something Anna would make - she also "doesn't get" repeating objects unless it's a zebra. 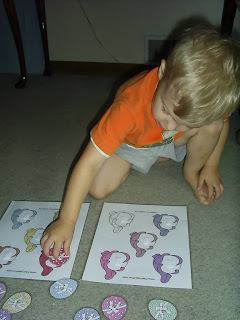 we also love wipe-off books here - it's really a nice way to try the same things over and over. "Superman" mask is supercute too. Great week! I like the toothpicks in the Styrofoam. 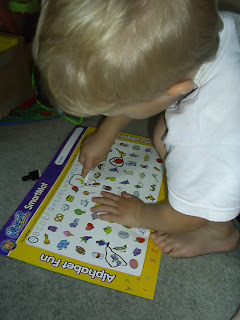 We have that alphabet mat from Target too (LOVE the Dollar spot!). My daughter likes to make patterns too. 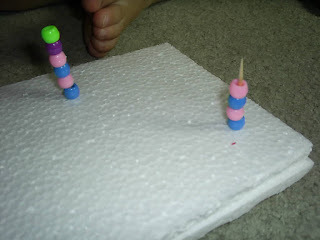 I like the toothpicks in styrofoam with the bead patterns. 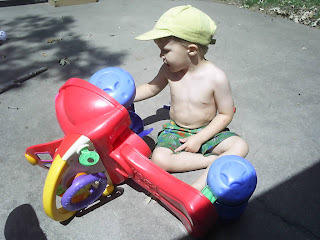 We're having trouble understanding what pattern means, too, so maybe we'll try this! 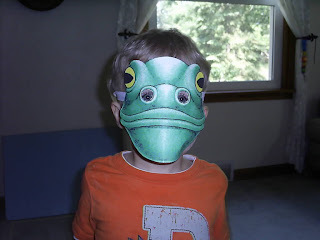 And I have to print some of those masks! What a fun week with dinosaurs! Caden would love the toothpicks and beads. Thanks for sharing! 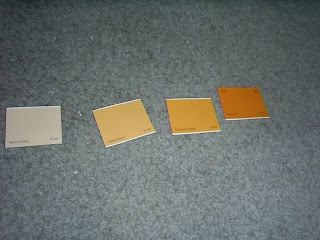 What a busy week, I love the toothpick game and the paint chips spectrum!